Hey everyone! 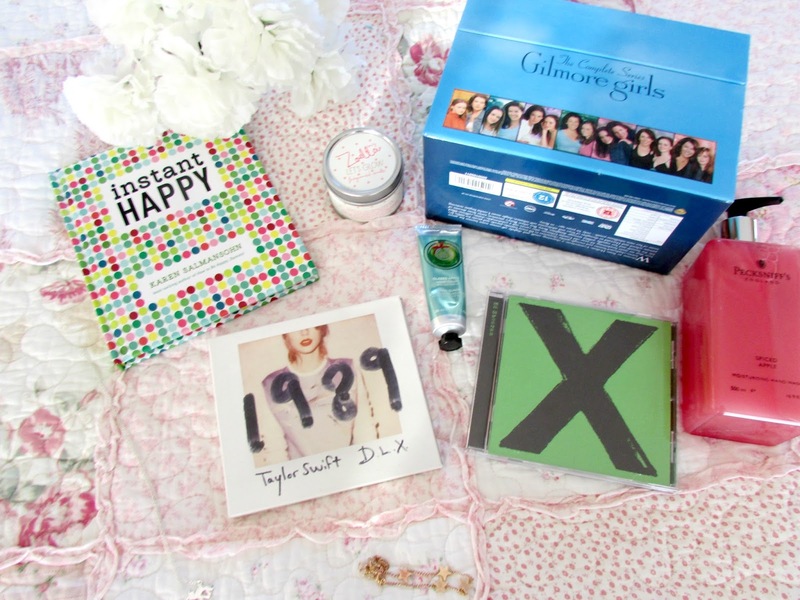 So as you can see I have a non beauty monthly favorites post for you this month! I love writing non beauty favorites as it gives a little insight to the person behind the blog. As you can see there are a lot of things I have been loving this month so I won't ramble on too much! First up is jewelry and I have been loving these two pieces from the brand LVNDR and EmTalks. 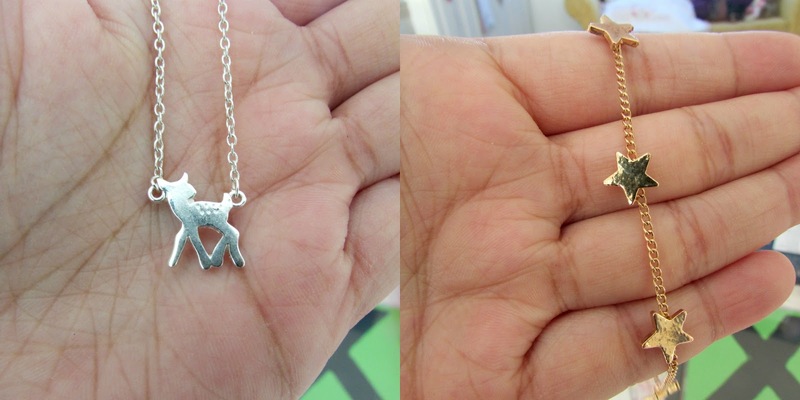 I love how dainty and delicate the pieces are and I have literally been wearing these non -stop since I got them. Perfect everyday jewelry as they go with absolutely everything and add a little touch of elegance to your look as well. All the pieces from this brand are extremely affordable so if you'd like to treat yourself or loved ones this Christmas head on over HERE now. 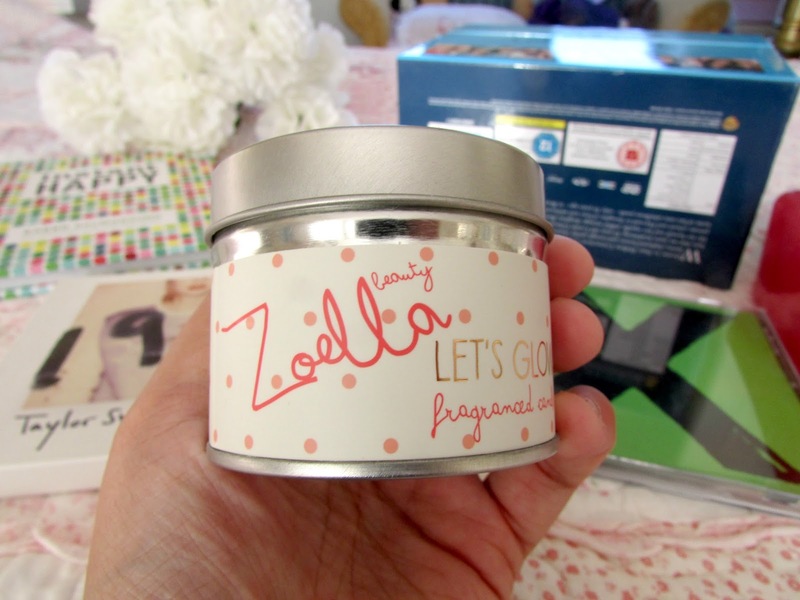 I've also been loving Zoella's entire beauty range this month too. All her products are fantastically made, smell absolutely incredible and are perfect for a pamper evening as they are very relaxing. This candle is definitely something I have been loving this month. I think it smells incredible, The scent is very fresh and relaxing and the candle itself looks amazing lit up on my dressing table when I am doing my make up. When it gets to this time of year my hands need extra special attention. They get so horrible and dry so I'm always on the look out for good hand products to prevent this. 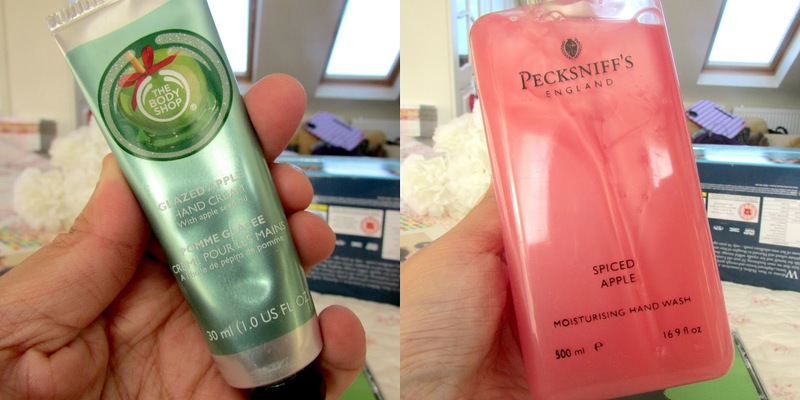 Two of my favorites this month have been the Body Shop's Glazed Apple hand cream which smells absolutely incredible and leaves my hands feeling incredibly moisturized and smelling fabulous too! I have already reviewed the glazed apple hand cream from the body shop as well as the rest of the Glazed Apple range HERE. Definitely my favorite scent at the moment from The Body Shop! I also love this Hand Wash which I found in TKMaxx for only £5.00. Again it's apple scented (I'm obsessed at the moment) and leaves my hands feeling soft and clean once I've used it. It definitely has a christmas scent to it which I absolutely love. This month I have been reading quite a few books. 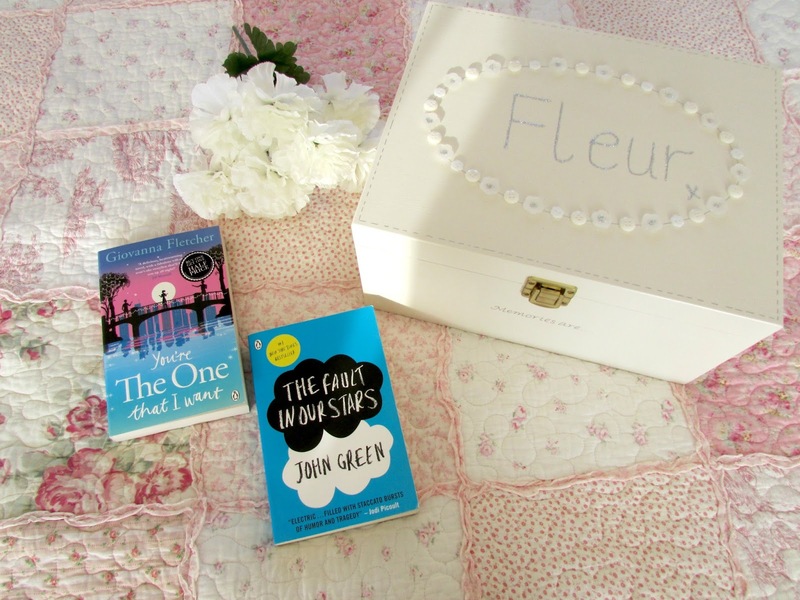 I have absolutely loved 'You're The One That I Want' by Giovanna Fletcher. It's such a romantic, feel good novel. I read it in one day which is highly unusual for me. I do read quite quickly but never books in a day. I was just on edge and wanted to find out what would happen next! Basically is a love story with unrequited love being the main theme however it's got two sides to the story and by that I mean two people are giving their own version of events. It's pretty amazing! 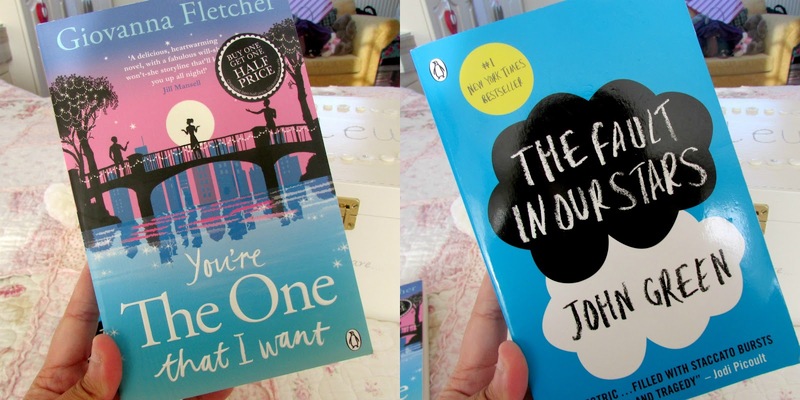 The Fault In Our Stars is another one of my favorite books. It is just absolutely incredible and heartbreaking. If you haven't read it yet what have you been doing with your life? Get it read! Make sure to have chocolate and tissues for afterwards though! 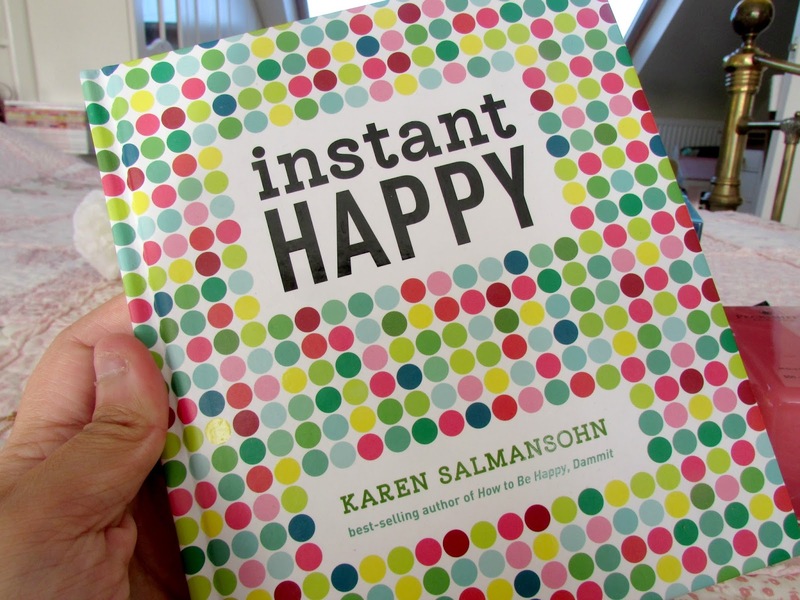 'Instant Happy' is basically a motivational book. It has so many quotes and inspiration things inside it which has helped me so much. If I've had a bad day this month I've read this a couple of times and it just really helps calm me down. Perfect pick up! I have a blog post coming up on inspiration soon so make sure to stay tuned for that. Music has definitely been one of my favorite things this month. 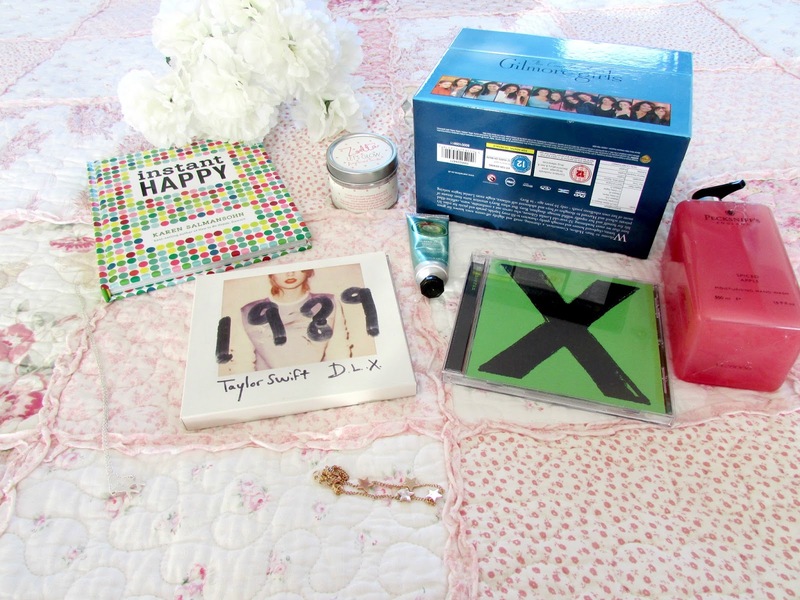 I have absolutely loved Taylor Swift and Ed Sheeran. Taylor Swift has been one of my favorite singers since I heard Love Story back in 2009. I just absolutely love her. She comes up with the most relatable songs ever and 1989 is definitely in my opinion her second best album after fearless. It is literally packed full of hits. My favourite song on the album is definitely 'Blank Space'. Ed Sheeran is another one of my favorite singers and as much as I loved his first album I prefer this one. A lot of his songs on here I can relate too. My favorite song is definitely 'Thinking Out Loud', however I absolutely love the song he did for 'The Fault In Our Stars' called 'All Of Our Stars'. Both of these songs are so incredibly beautiful. Definitely check out both these albums if you haven't already. I have also been loving Olly Murs', One Direction's and Nina Nesbitt's albums too. Definitely check them out if you haven't already. Gilmore Girls has been my absolute favorite show for years! It follows the lives of a single mother Lorelei and her daughter Rory through absolutely everything whether its relationships, parental issues, school and work issues etc all of which have good and bad moments. It is just absolutely amazing and super funny too. If you haven't watched this yet I'd highly recommend it. 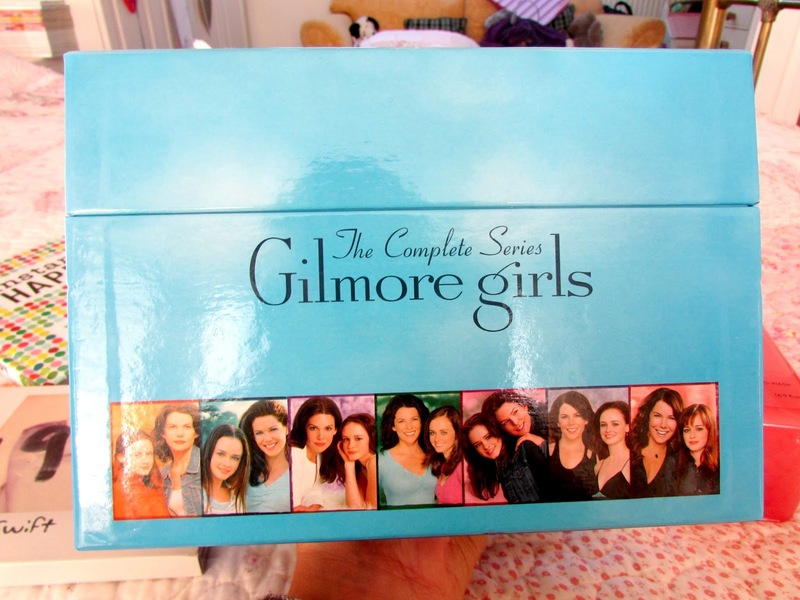 I find this box set in HMV for £49.99 which for seven seasons I think is an absolute bargain. Definitely one to add to your Christmas lists. I'm going to be finishing off Season 3 once I've finished writing this post! 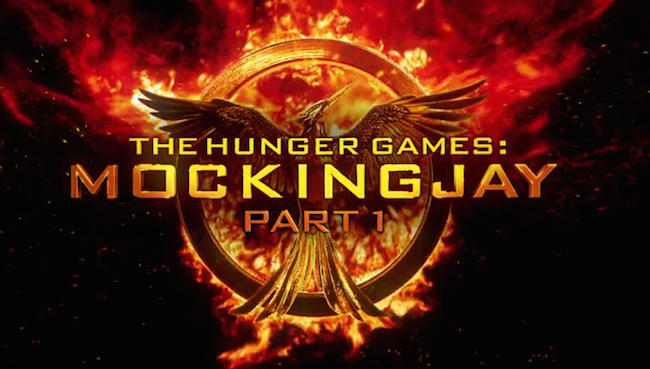 My movie favorites for November have been Mockingjay Part 1 and The Fault In Our Stars. I am a huge hunger games fan after having read all the books and seeing the first two films. I had extremely high expectations for the first few films and I definitely haven't been disappointed. Jennifer Lawrence is just incredibly in the film and she even sings in this one and has a pretty fab voice! Definitely worth a watch. Be prepared to be like 'What on earth?' a few times though! 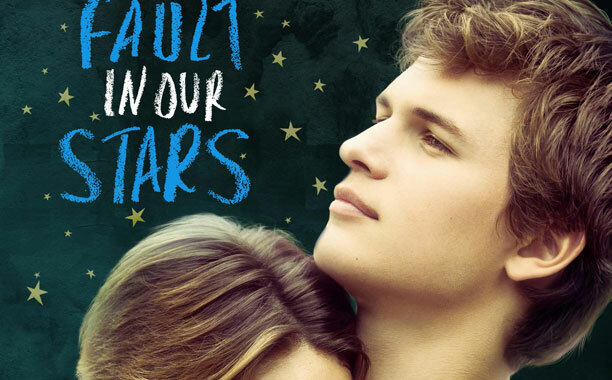 The Fault In Our Stars film is just as incredible as the book. The actors are amazing and they make the story truly believable. I'm not going to give the story away as it's one you all have to see if you haven't already. Truly heartbreaking. 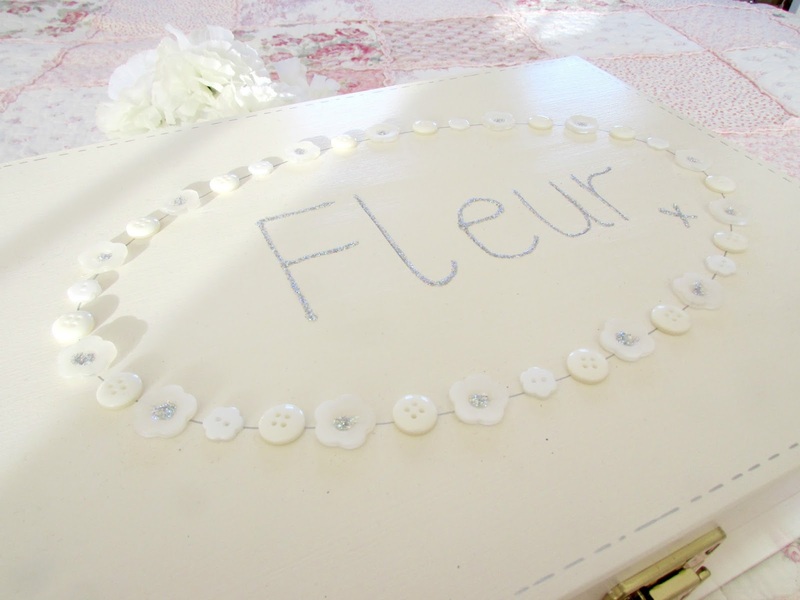 One thing I have wanted for ages is a memory box. I used to have a little tiny memory jar where I would write down things and put them in there to look back on at the end of the year but I decided that I would buy a proper personalized box to put in everything that has meant a lot to me over the course of my life and it has definitely served it's purpose. I have so many precious memories in here now and I look forward in the future where I can open it up and just smile at everything that I did that made me happy. If you haven't got one of these I would highly recommend it! So there we have it, my non beauty monthly favorites! I love these types of posts so much as I think they are a lot more interesting to read than beauty favorites some times! You get to discover a lot of new music, films, books and anything else as well. They are just brilliant! What are your non-beauty favorites this month? If you have a post or even a video then be sure to leave a link in the comments below. 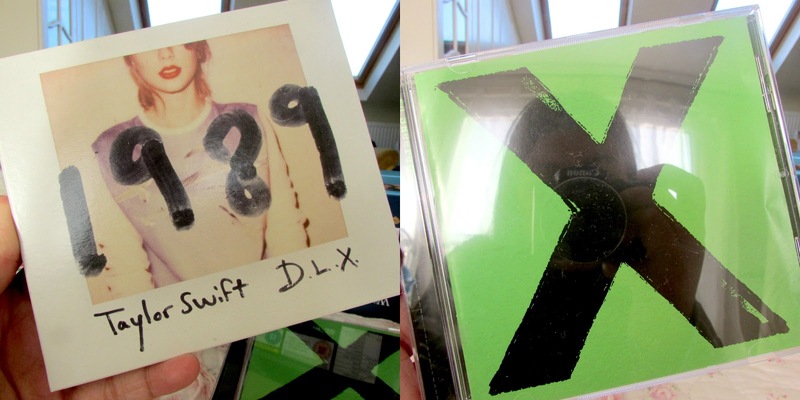 I'm quite keen on purchasing 1989 from Taylor Swift, love most of her songs.